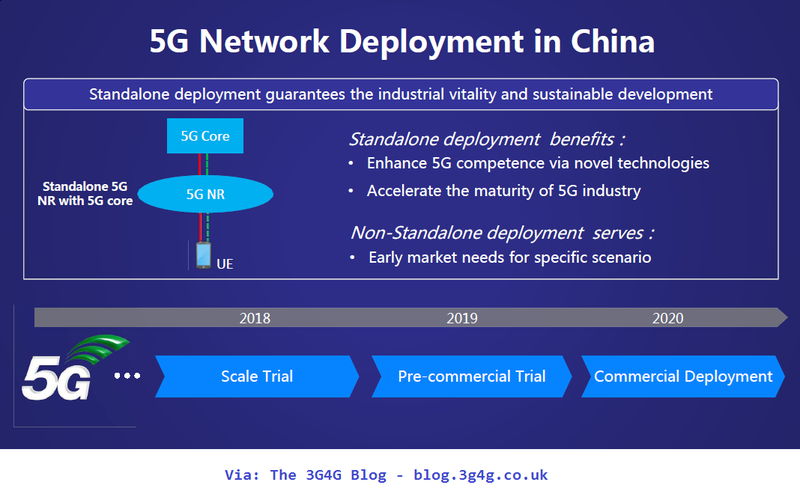 5G is becoming a case of 'damned if you do damned if you don't'. Behind the headlines of new achievements and faster speeds lies the reality that many operators are struggling to keep afloat. Indian and Nigerian operators are struggling with heavy debt and it wont be a surprise if some of the operators fold in due course. 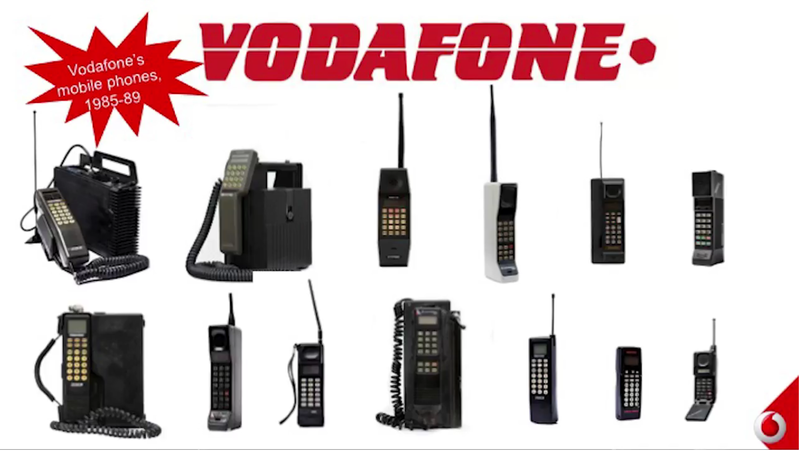 With increasing costs and decreasing revenues, its no surprise that operators are looking at ways of keeping costs down. 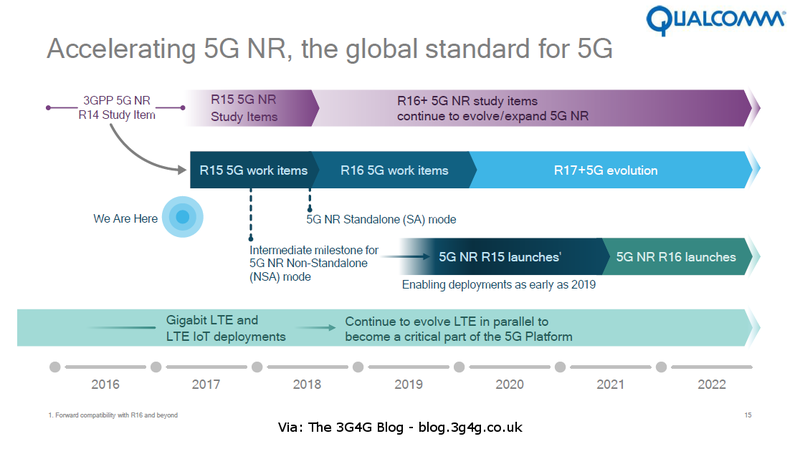 Some operators are postponing their 5G plans in favour of Gigabit LTE. Other die hard operators are pushing ahead with 5G but looking at ways to keep the costs down. 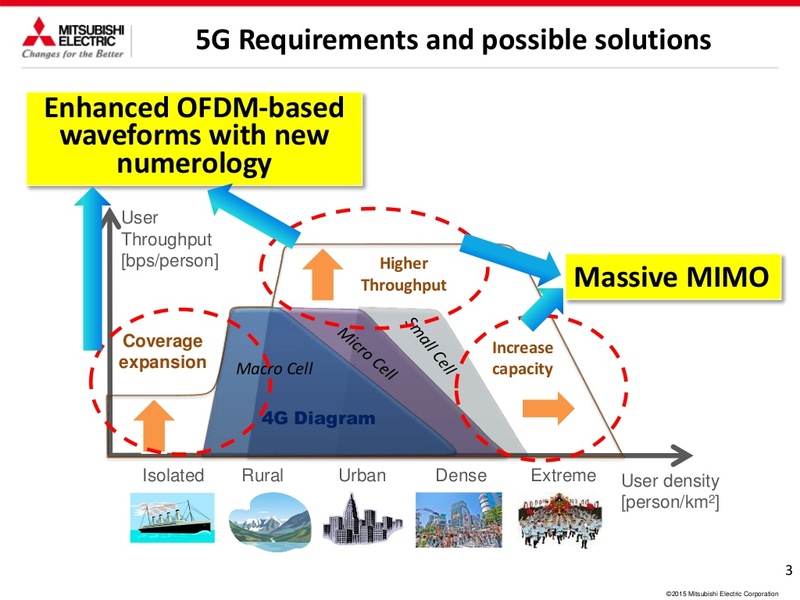 In Japan for example, NTT DOCOMO has suggested sharing 5G base stations with its two rivals to trim costs, particularly focusing efforts in urban areas. In this post, I am looking to summarise an old but brilliant post by Dr. Kim Larsen here. While it is a very well written and in-depth post, I have a feeling that many readers may not have the patience to go through all of it. All pictures in this post are from the original post by Dr. Kim Larsen. Before embarking on any Network sharing mission, its worthwhile asking the 5W's (Who, Why, What, Where, When) and 2H's (How, How much). Why do you want to share? How much will it cost and how much savings can be attained in the long term? This is in-fact a very important question because the end result after a lot of hard work and laying off many people may result in an insignificant amount of cost savings. Dr. Kim provides detailed insight on this topic that I find it difficult to summarise. Best option is to read it on his blog. 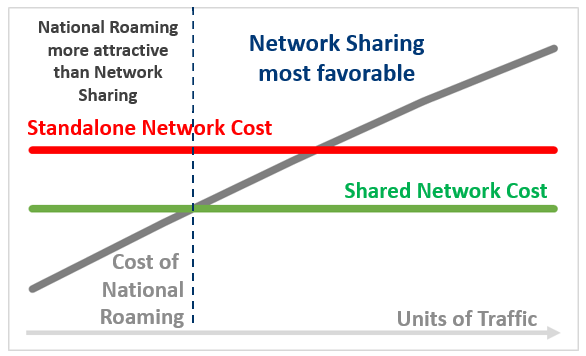 An alternative approach to network sharing is national roaming. Many European operators are dead against national roaming as this means the network loses its differentiation compared to rival operators. Having said that, its always worthwhile working out the savings and seeing if this can actually help. 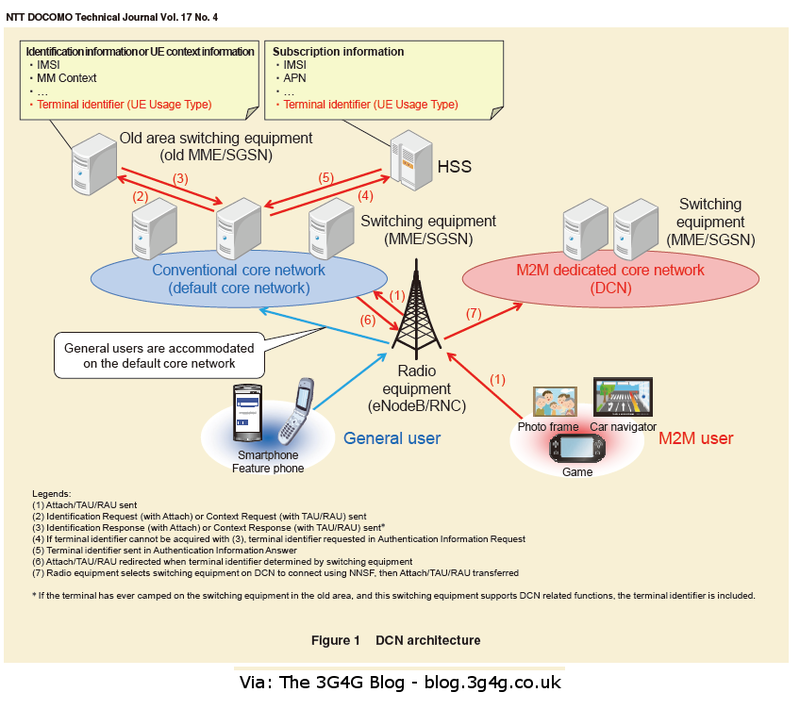 If this has been useful to understand some of the basics of network sharing, I encourage you to read the original blog post as that contains many more details. 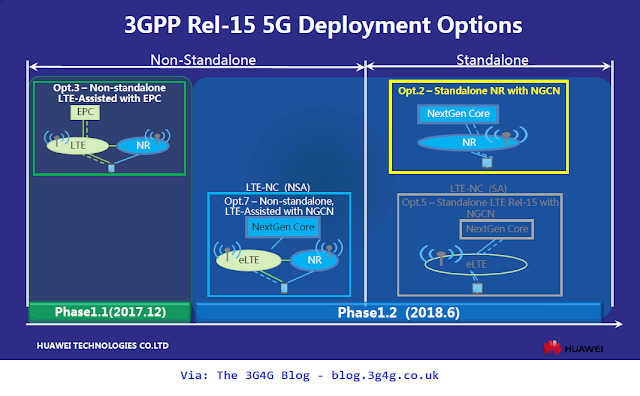 The 5G NR (New Radio) plan was finalised in March (3GPP press release) and as a result Non-StandAlone (NSA) 5G NR will be finalised by March 2018. 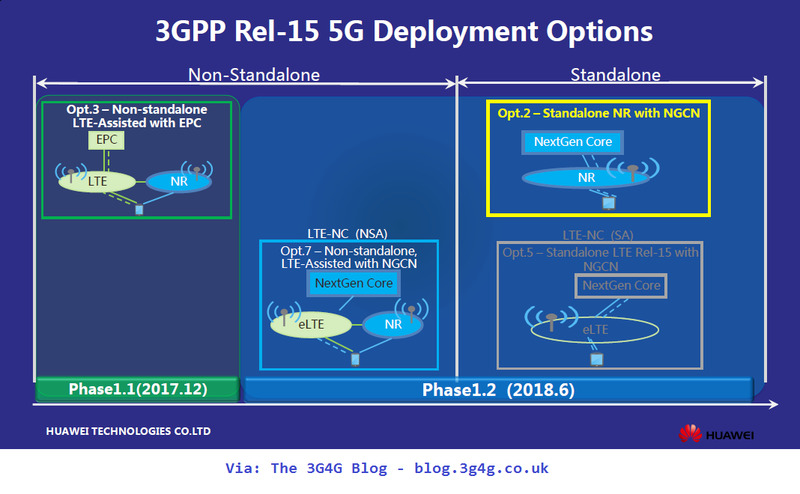 The final 3GPP Release-15 will nevertheless include NR StandAlone (SA) mode as well. 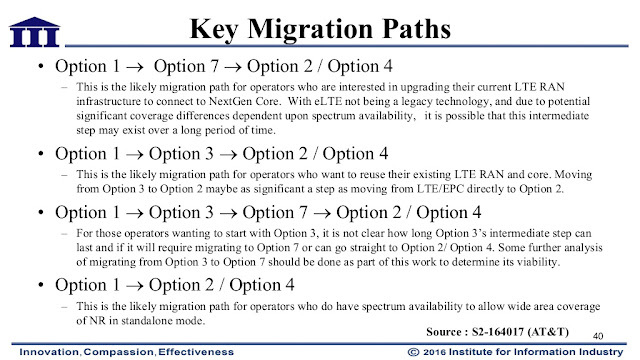 NSA is based on Option 3 (proposed by DT). If you dont know much about this, then I suggest listening to Andy Sutton's lecture here. 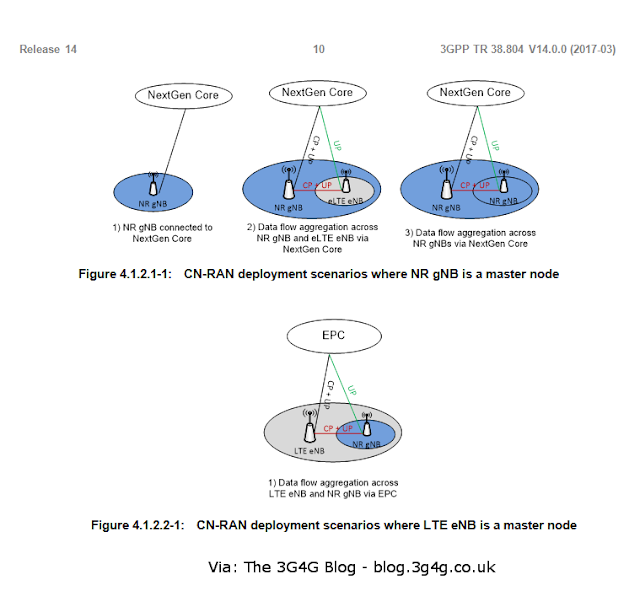 Notice that like eNodeB (eNB) in case of LTE, the new radio access network is called gNodeB (gNB). 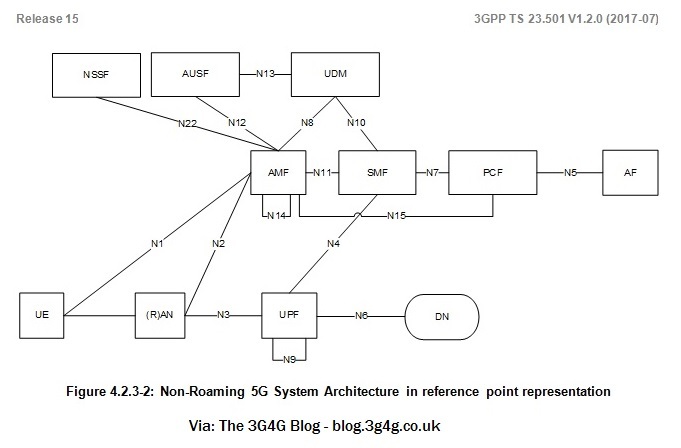 Martin Sauter points out in his excellent blog that 'g' stands for next generation. 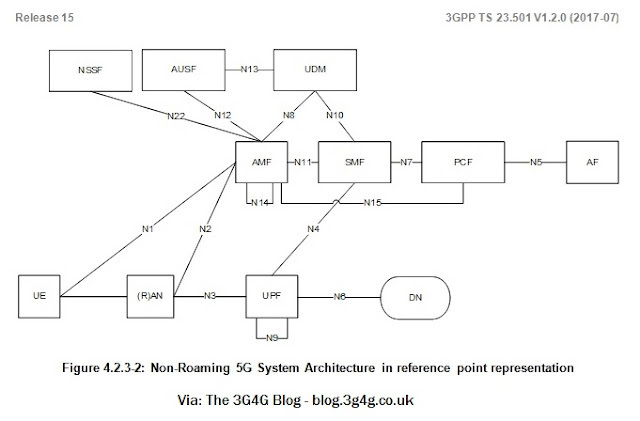 3GPP TS 23.501: Technical Specification Group Services and System Aspects; System Architecture for the 5G System; Stage 2 provides architecture model and concepts including roaming and non-roaming architecture. I will probably have to revisit as its got so much information. 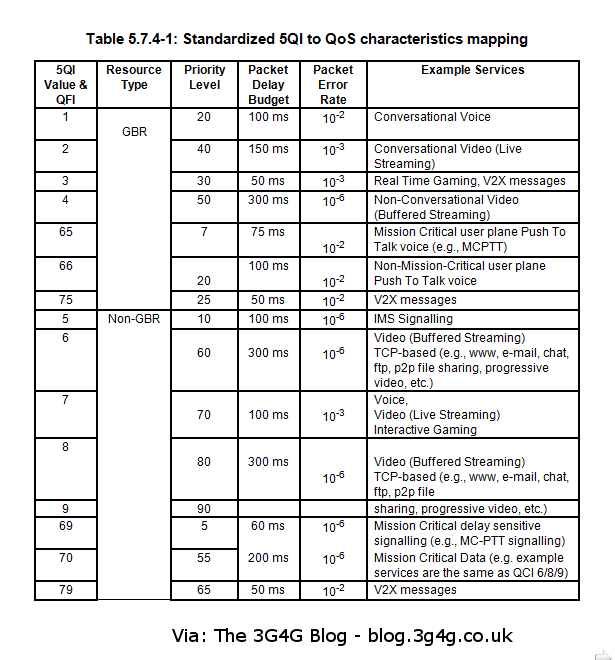 The QoS table is shown above. 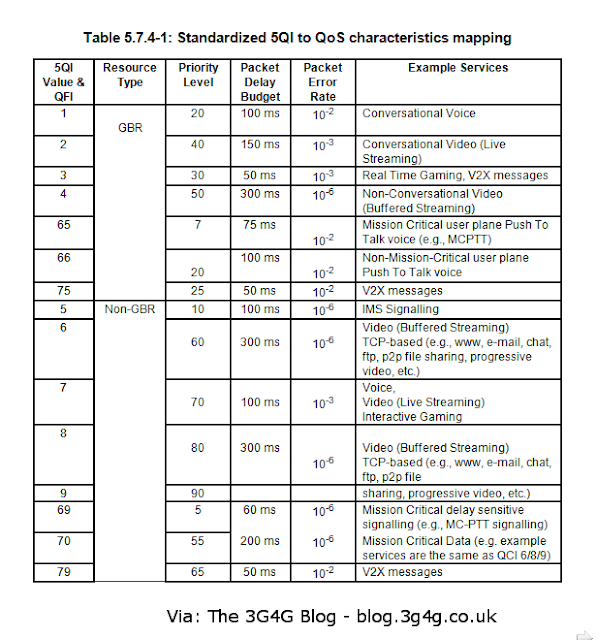 You will notice the terms QFI (QoS Flow Identity) & 5QI (5G QoS Indicator). I have a feeling that there will be a lot of new additions, especially due to URLLC. 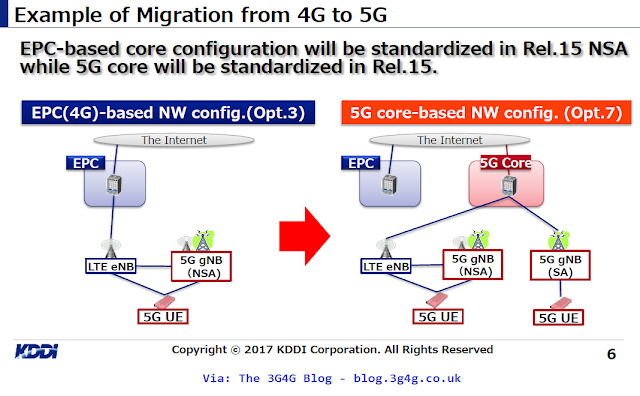 5G NR will use 38 series (like 25 series for 3G & 36 series for 4G). Looking at a paper (embedded below) from NTT Docomo technical journal where they talk about Dedicated Core Network (DCN) for handling different traffic type (M2M/IoT for example). Note that this approach is different from NFV based network sliced architecture. 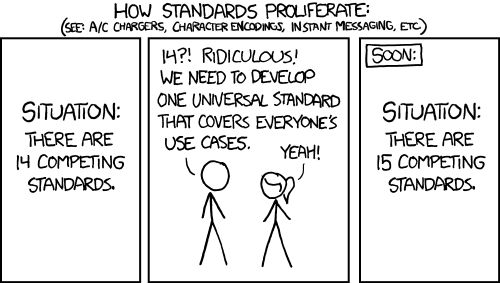 For the latter, the network functions should have been virtualized. There will be some signalling overhead in the core network to handle the new core and reroute the traffic according destined for the new dedicated core. I would still hope that this would be minuscule in the grand scheme of things. Anyway, let me know what you think about the paper below. Many of my readers would be aware that UK is probably the first country to have decided to move its emergency services network from an existing TETRA network to a commercial LTE network operated by EE. While some people have hailed this as a very bold move in the right direction, there is no shortage of critics. Around 300,000 emergency services users will share the same infrastructure used by over 30 million general users. Steve Whatson, deputy director Delivery, Emergency Services Mobile Communications Programme (ESMCP) – the organisation within the UK Home Office procuring ESN – assured delegates that ESN will match the existing dedicated Airwave emergency services communication network in terms of coverage for roads, outdoor hand portable devices and marine coverage. Air to ground (A2G) will extend its reach from 6,000ft to 12,000ft. 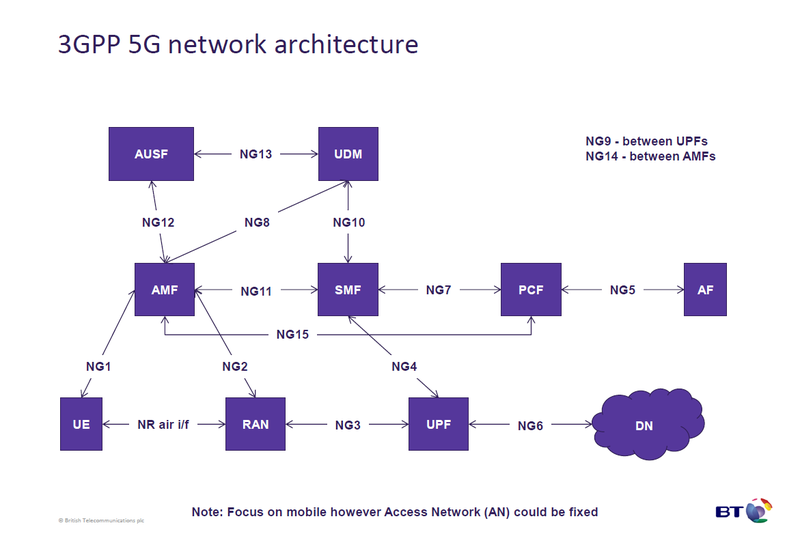 Whatson also pointed out that coverage is not one single piece, but will comprise a number of different elements, which all need to mesh into one seamless network run by the ESN Lot 3 Mobile Services (main 4G network) provider – EE. 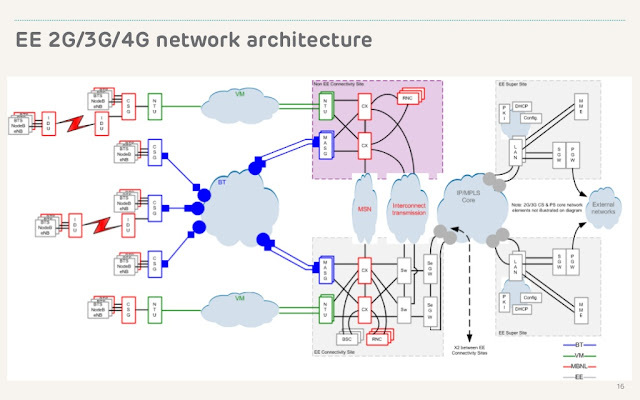 This includes: EE’s main commercial 4G network; Extended Area Services (hard-to-reach areas of the UK where new passive sites are to be built under a separate contract and then equipped with EE base stations); air-to-ground; London Underground; Crossrail; marine coverage (to 12 nautical miles); and special coverage solutions. 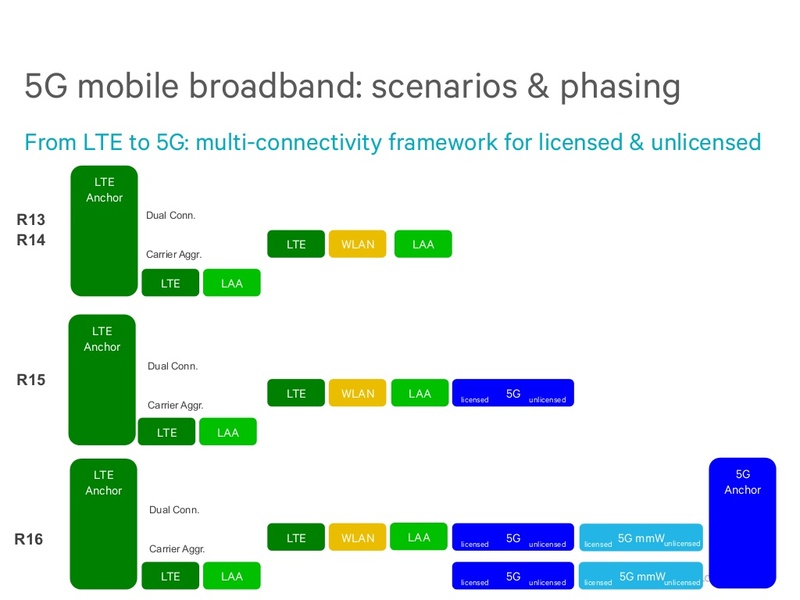 EE is currently rolling out new 4G sites – it will eventually have some 19,500 sites – and is upgrading others with 800MHz spectrum, which propagates over longer distances and is better at penetrating buildings than its other 4G spectrum holdings. 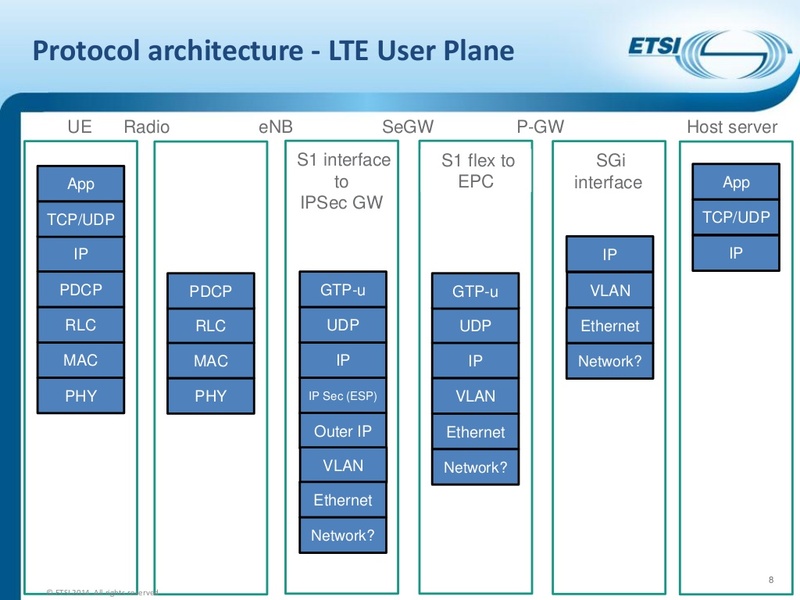 Crucially for ESN, it is also switching on a Voice over LTE (VoLTE) capability, starting with the UK’s main cities. 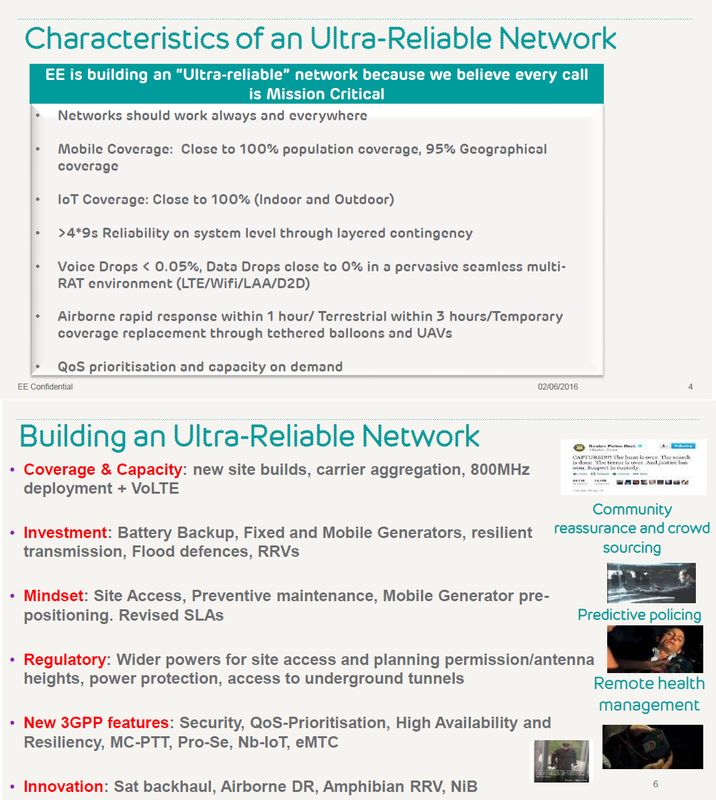 Mission critical networks must be always available and have levels of resilience far in excess of commercial networks. Speaking exclusively to Wireless in early May, Tom Bennett, group director Technology Services, Architecture & Devices at EE, said: ‘We already achieve a very high availability level, but what the Home Office was asking for effectively was about a 0.3% increase against our existing commercial availability levels. The current Airwave network has approximately 4,000 sites, many with back-up generators on site with fuel for seven days of autonomous running if the main power is cut, along with a range of resilient backhaul solutions. He explains that EE has undertaken a lot of analysis of what causes outages on its network, and it has combined that data with the Home Office’s data on where the natural disasters in the UK have occurred over the past 10 years. From this, EE is able to make a reasonable assessment of which sites are likely to be out of action due to flooding or other disasters for more than three or four days. 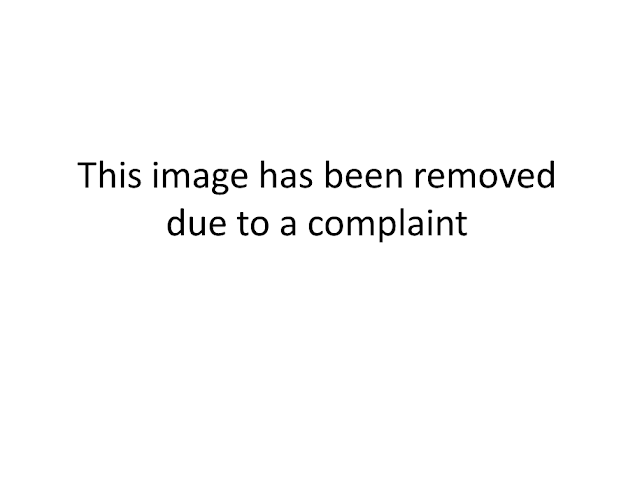 ‘For those sites – and it is less than 4,000 – you need generators too, because you may not be able to physically access the sites for some days,’ says Bennett. For obvious reasons, the unique coverage sites are mostly in rural areas. But as Bennett points out, the majority of cases where the emergency services are involved is where people are – suburban and urban areas. ‘In these areas EE has overlapping coverage from multiple sites to meet the capacity requirements, so if a site goes down, in the majority of cases we have compensation coverage. A device can often see up to five tower sites in London, for example,’ he says. 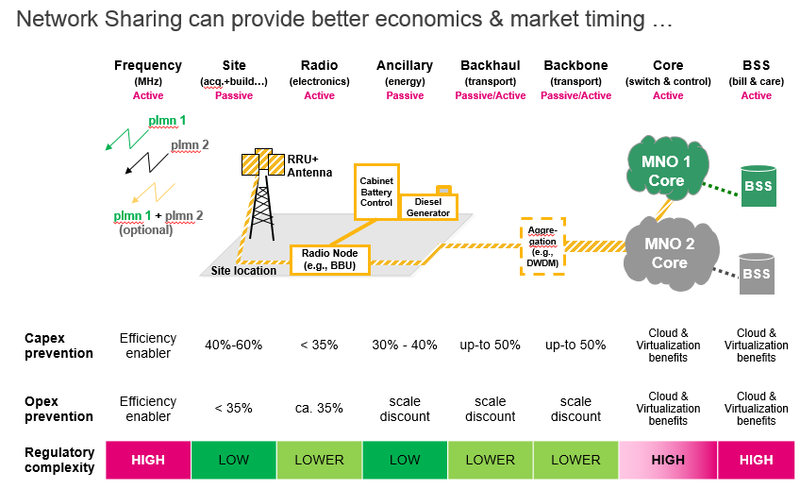 Having adequate backhaul capacity – and resilient backhaul at that – is vital in any network. Bennett says EE is installing extra backhaul, largely microwave and fibre, but other solutions will also be used including satellite and LTE relay from base station to base station – daisy chaining. On 9 May 2016, EE announced a deal with satellite provider Avanti to provide satellite backhaul in some areas of the UK. Additional coverage and resilience will be offered by RRVs (rapid response vehicles), which EE already has in its commercial network today, for example, to provide extra capacity in Ascot during the racing season. 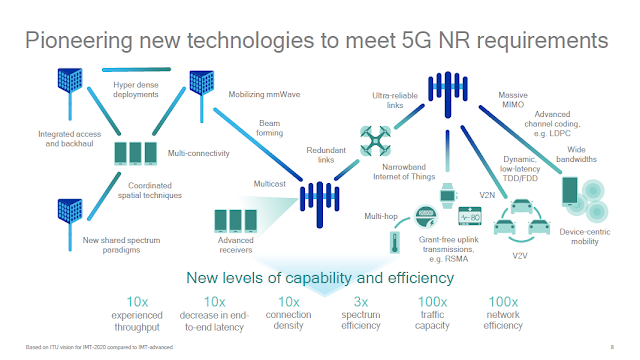 ‘We would use similar, although not exactly the same technology for disaster recovery and site/service recovery, but with all the backhaul solutions,’ says Bennett. ‘Let’s say we planned some maintenance or upgrade work that involved taking the base station out for a while. At the British APCO event, Mansoor Hanif, director of Radio Access Networks at EE said it was looking at the possibility of using ‘airmasts’ to provide additional coverage. Meshed small cells, network in a box and repeater solutions are becoming available for these ‘airmasts’, which will provide coverage from balloons, or UAVs – tethered drones with power cables and optical fibre connected to them. Mansoor Hanif, Director of RAN at EE gave a presentation on this at Critical Communications World 2016 and has also given an interview. 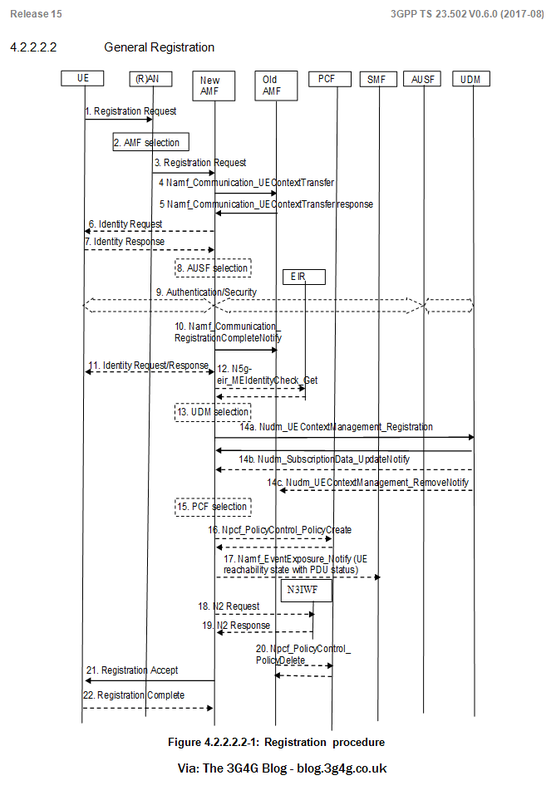 Both are embedded below. Feel free to let me know if you believe this will work or not and why. Does 5G need 'Next Generation' of Internet Protocols? 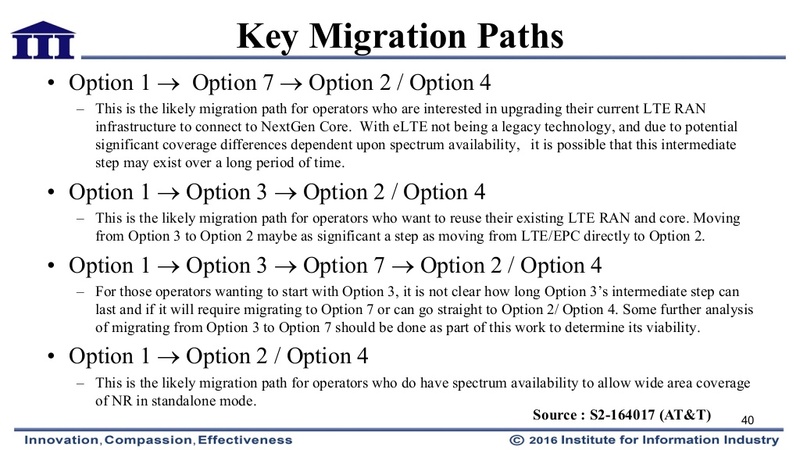 I have often heard Martin Geddes mention that the Internet is broken, the protocols (TCP/IP) are wrong and if we want to continue the way our data usage is going, we need to define new protocols (see here for example). 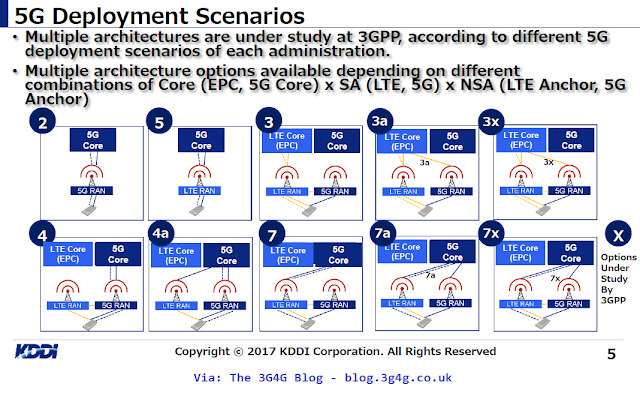 It was good to find out last week at 5G Huddle that ETSI is already working on this. The TCP/IP protocol suite has undoubtedly enabled the evolution of connected computing and many other developments since its invention during the 1970’s. 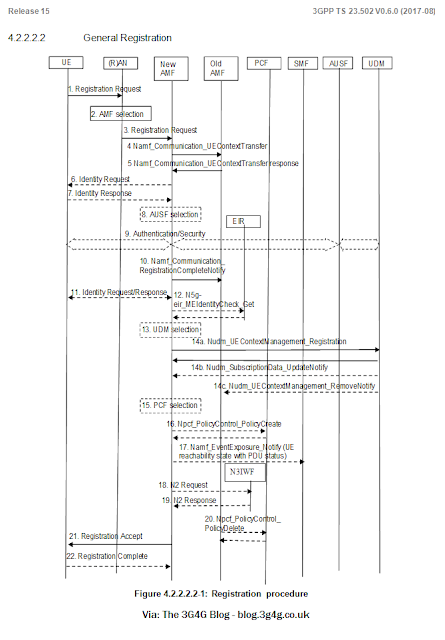 Thanks to the development and ubiquity of this protocol stack, we have managed to build an Internet on which we are dependent as a communications tool, an information storage and distribution tool, a marketing channel and a sales and distribution platform, for consumers and for businesses large and small. 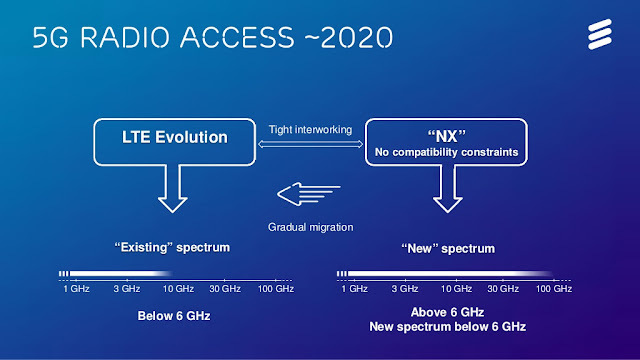 However, the industry has reached a point where forward leaps in the technology of the local access networks will not deliver their full potential unless, in parallel, the underlying protocol stacks used in core and access networks evolve. 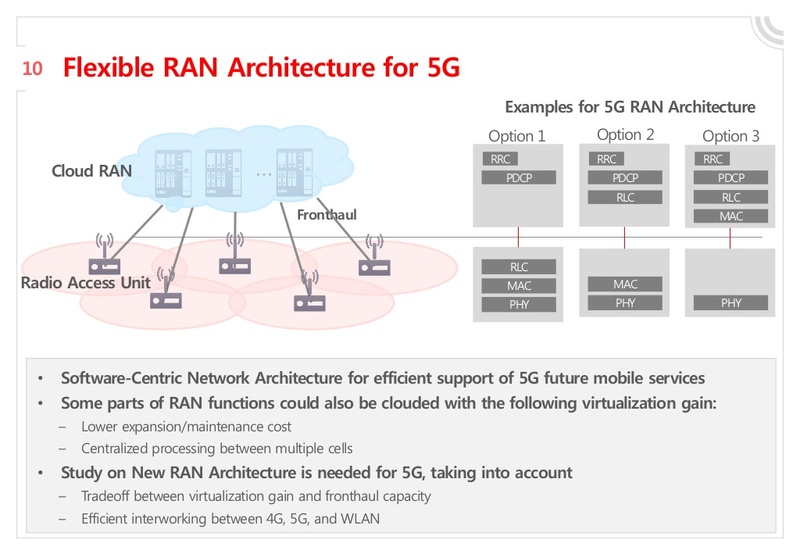 The development of future 5G systems presents a unique opportunity to address this issue, as a sub-optimal protocol architecture can negate the huge performance and capacity improvements planned for the radio access network. 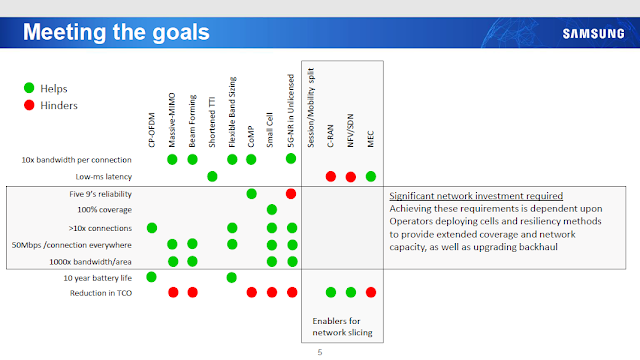 ETSI has created an Industry Specification Group to work on Next Generation Protocols (NGP ISG), looking at evolving communications and networking protocols to provide the scale, security, mobility and ease of deployment required for the connected society of the 21st century. Requirements for increased energy efficiency within the global ICT sector. This ISG is seen as a transitional group i.e. 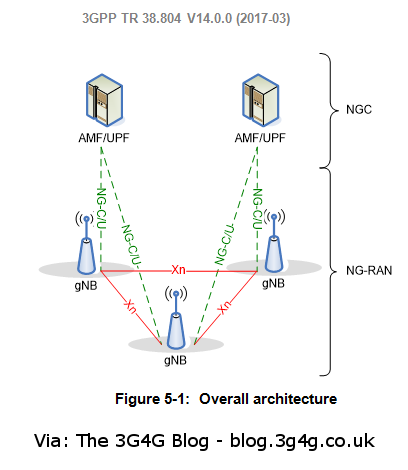 a vehicle for the 5G community (and others of interest) to first gather their thoughts and prepare the case for the Internet community’s engagement in a complementary and synchronised modernisation effort. The ISG provides a forum for interested parties to contribute by sharing research and results from trials and developments in such a way that a wider audience can be informed. 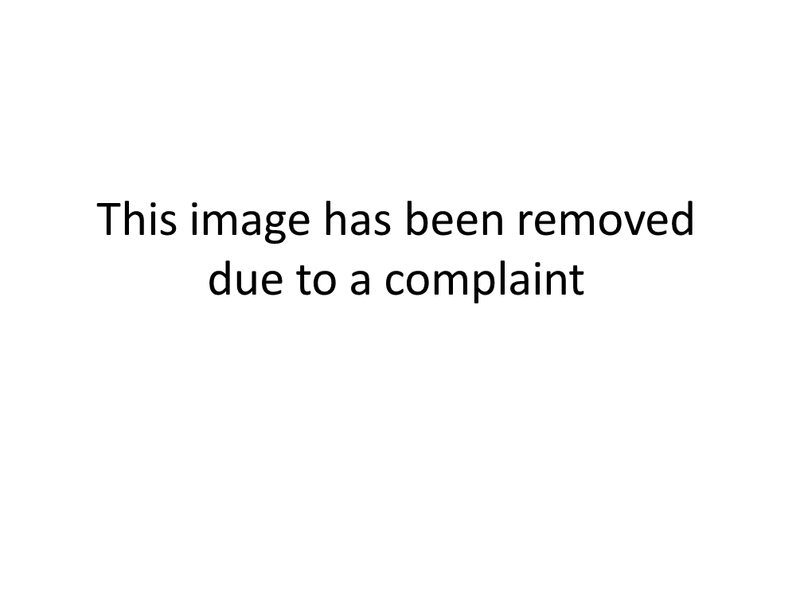 Other standards bodies will be involved so that parallel and concerted standardization action can take place as a further step in the most appropriate standards groups. Please feel free to add your opinions in the comments. 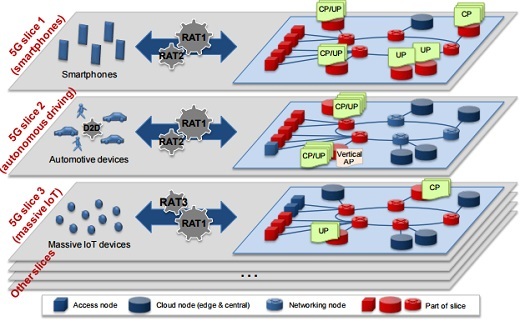 Came across this interesting Network Architecture evolution Roadmap by Netmanias. Its embedded below and available to download from the Netmanias website. 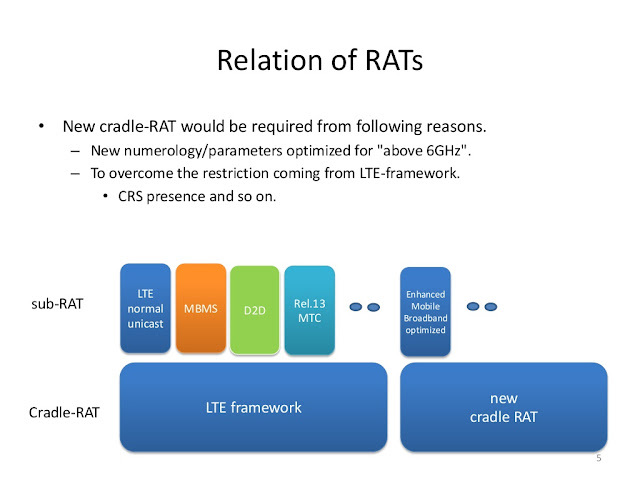 Continuing with the updates from 5G RAN workshop, part 1 and part 2 here. 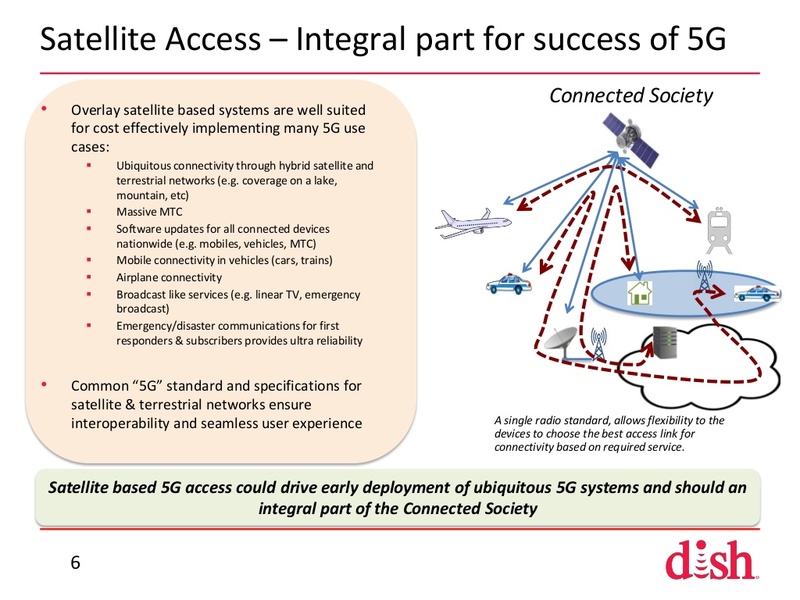 Dish states that there are misconceptions about what satellite technology can deliver for 5G networks. 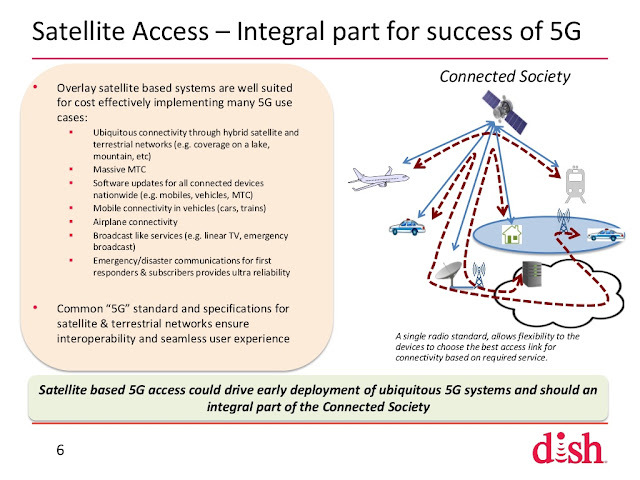 Essentially Dish says that satellites will be capable of delivering two-way communications to support 5G. 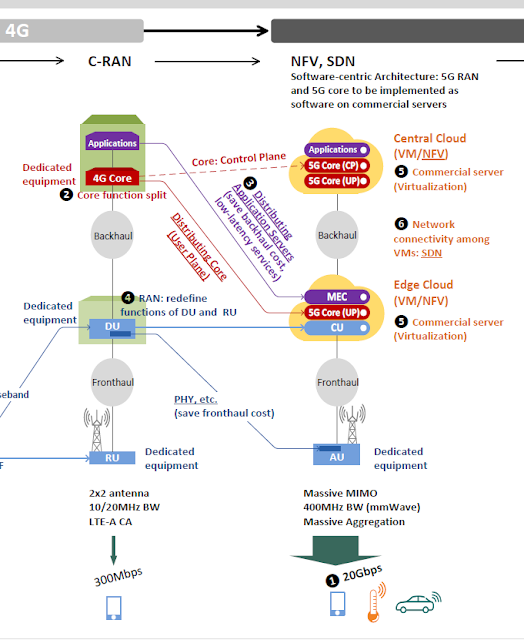 A hybrid ground and space 5G network would use small satellites that each use a "spot beam" to provide a dedicated area of two-way coverage on the ground. This is different than the old model of using one satellite with a single beam to provide a one-way service like a TV broadcast over a landmass. 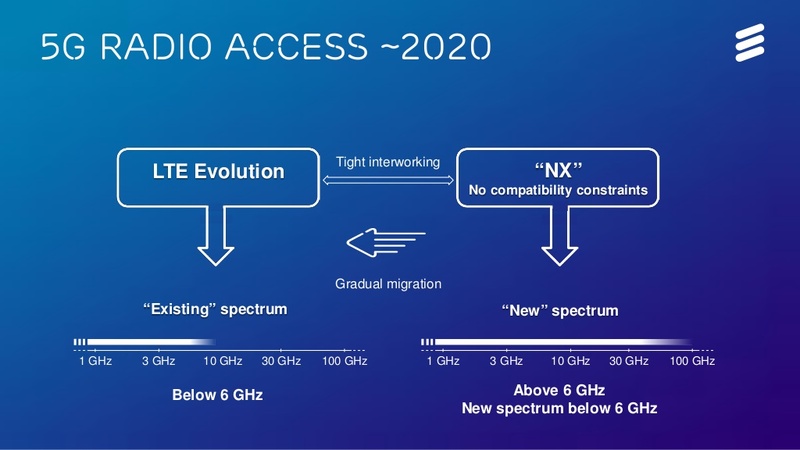 Dish argues that newer, smaller satellites, equipped with the latest multi-antenna arrays (MIMO) would allow for "ubiquitous connectivity through hybrid satellite and terrestrial networks," the operator writes. 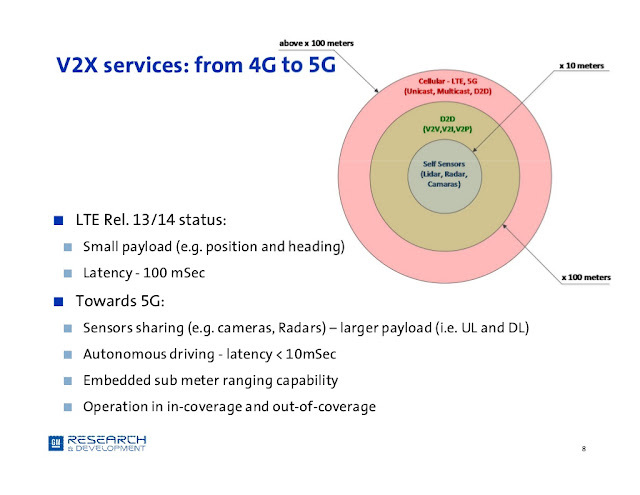 In this model, satellites could connect areas that it would be hard to network otherwise like mountains and lakes. 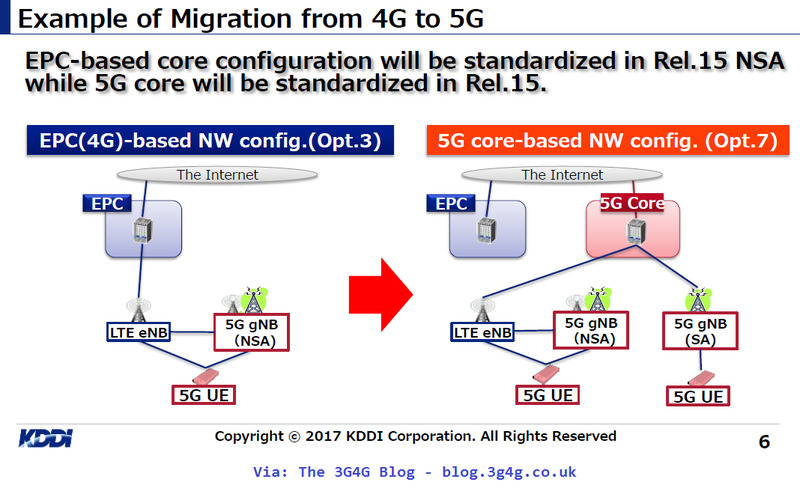 The presentation from Kyocera focused on TD-LTE which I think will play a prominent role in 5G. In case of wide channels, TD-LTE can help predict the channel accurately, which is a drawback for FDD at high frequencies. Their presentation is available here. The presentation from NEC focussed on different technologies that will play a role in 5G. Their presentation is available here. The final presentation we will look at this time is by the South Korean operator, KT. 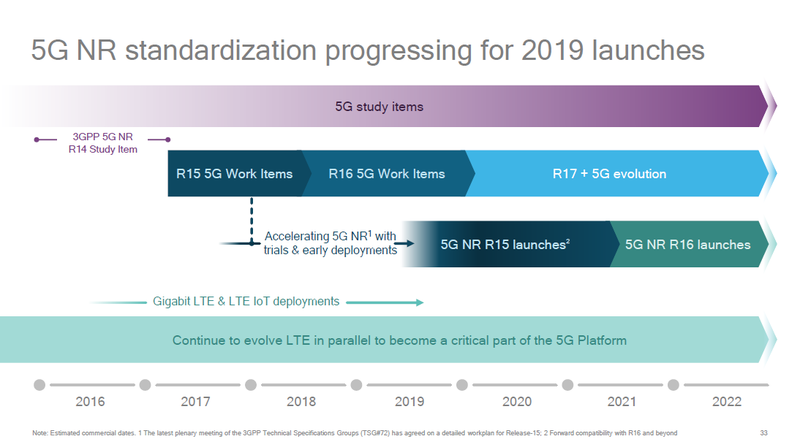 What is interesting to see is that in the part 1 we saw in the chairman's summary that 5G will come in two phases; Rel-15 will be phase 1 and Rel-16 will be phase 2. In the summary slide in KT's presentation, it looks like they are going to consider Rel-14 as 5G. Its not at all surprising considering that Verizon has said that they want to commercialise 5G by 2017, even though 5G will not be fully specified according to 3GPP by then. Anyway, here is the presentation by KT. 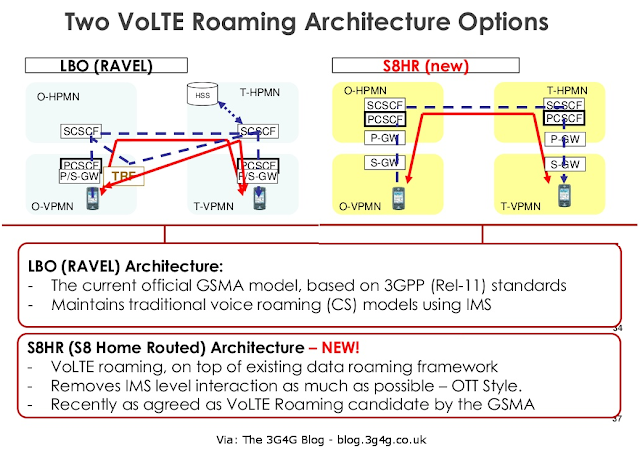 There was an interesting discussion on different roaming scenarios in the LTE Voice Summit on 29th, 30th Sep. in London. The above picture provides a brief summary of these well known options. I have blogged about LBO/RAVEL here and S8HR here. 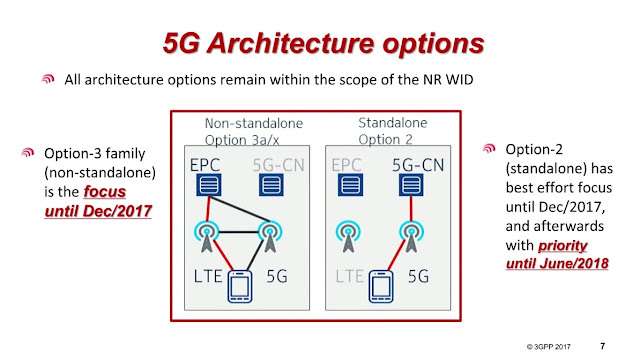 A presentation by NTT Docomo in a GSMA webinar here provides more details on these architectures (slide 29 onwards - though it is more biased towards S8HR). Ajay Joseph, CTO, iBasis gave an interesting presentation that highlighted the problems present in both these approaches. 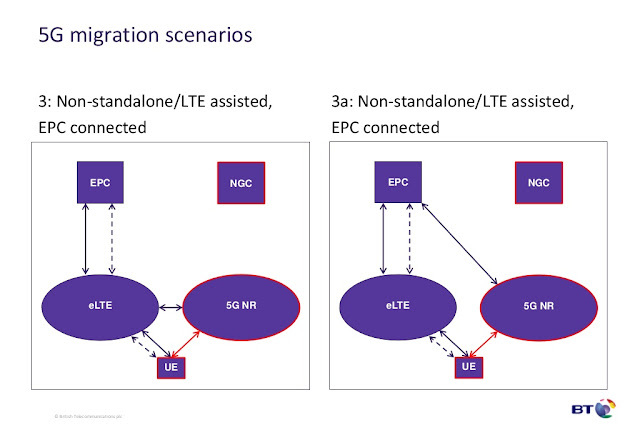 In case of LBO, the biggest issue is that the home operator need to do a testing with each roaming partner to make sure VoLTE roaming works smoothly. This will be time consuming and expensive. In case of S8HR, he provided a very good example. 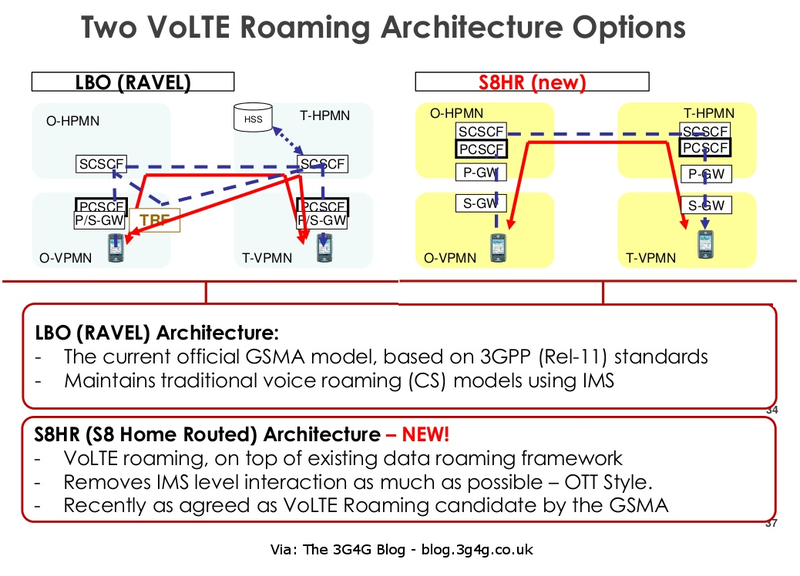 Imagine a VoLTE subscriber from USA is visiting Singapore. He now needs to make a phone call to someone in Indonesia (which is just next to Singapore). The flow of data would be all the way from Singapore to USA to Indonesia and back. This can introduce delays and impact QoE. 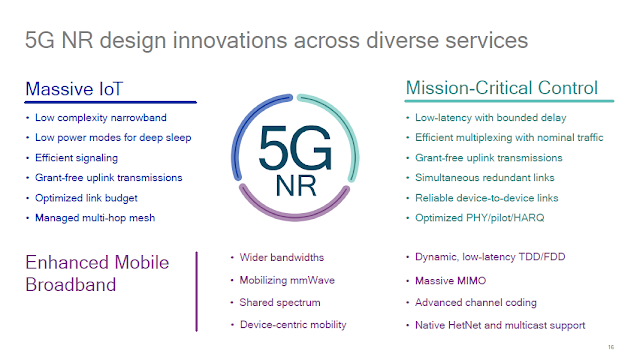 The obvious advantage of S8HR is that since the call setup and media go to Home PMN (Public Mobile Network), no additional testing with the Visited PMN is required. The testing time is small and rollouts are quicker. iBasis are proposing a solution called Hub Breakout (HBO) which would offer the best of LBO and S8HR. 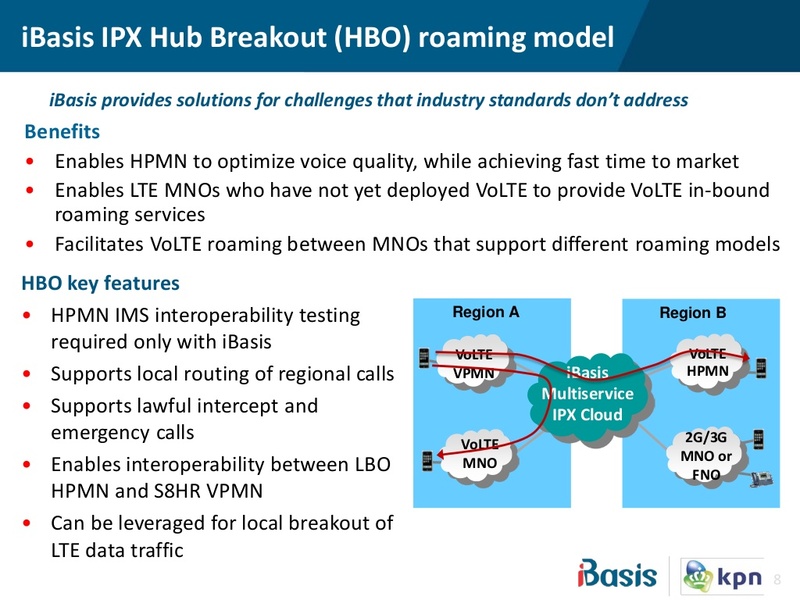 Each VoLTE operator would need to test their interoperability only with iBasis. Emergency calls and lawful intercept that does not work with S8HR would work with the HBO solution.